The new Esri Silverlight Viewer has recently been released for for public beta. This locally hosted Silverlight web application is by far the quickest and easiest method to create a very professional web mapping application. Testing this new technology does not require administrative access to an installation of ArcGIS Server. It can be tested using existing services hosted by Esri and other agencies. All you need is a Windows testing environment with IIS, Microsoft's web server. If you do not have an existing Window's web server set up or would rather not use a production server, IIS can quickly be installed and configured on any Windows operating system using the Microsoft Web Platform Installer. To do this, first install Microsoft Web Platform Installer. Next, use this to install IIS. Finally, install the Silverlight Viewer Builder. This tutorial was tested and written using a virtual machine (vm) running in VMWare Player 3.1. The operating system for this vm is Windows 7 Enterprise, 64-bit. The following steps are what worked for me, and hopefully will for you as well. To start, download the Microsoft Web Platform Installer and run the install. Depending on which browser you are using, the exact details of how to do this can vary. I am not going to fuss over the details of this. Hopefully you know how to download and install something on your computer. If not, possibly exploring web application development is not for you. Once installed, go ahead and run the Microsoft Web Platform Installer. 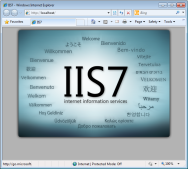 You are looking for IIS 7 Recommended Configuration. 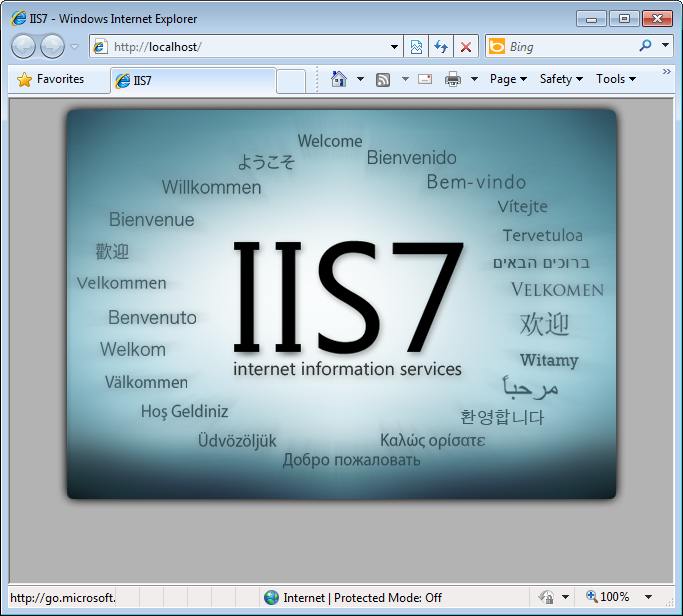 Click the Add button for IIS 7 Recommended Configuration and Install at the bottom. Once installing there is a bit of a shopping list being installed. Yes, it installs a few componets. Still, is the easiest way to get up and running fast with IIS. Upon completion if you would like to test to see if IIS is running, simply open a web browser and type http://localhost into your browser. You should see an IIS7 logo surrounded by the world Welcome in no less than 22 languages surrounding this logo. Congratulations, you have successfully installed IIS 7. Next, it is time to download and install the Silverlight Viewer builder. Browse to the Esri Beta Community site. If you have not set up an account on the site, you will have to associate your global Esri account, enter a few more details about yourself and be into the site. Once there, a number of beta programs are available. 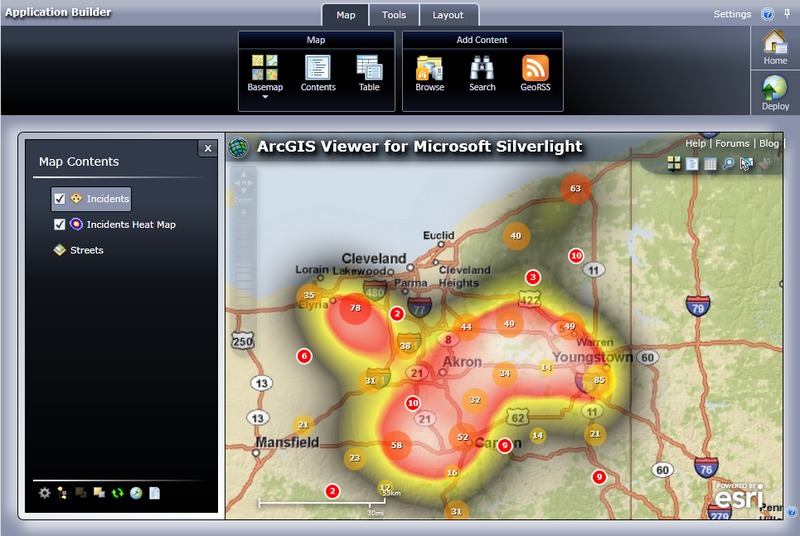 You are interested in the ArcGIS Viewer for Microsoft Silverlight. Once selecting the beta program, you will be asked questions about how you plan to participate. With these questions answered, you then can download the viewer. It is an executable file you download and run. For the purposes of testing, when it prompts for two defaults, accept them and keep going through the install. Now play with your new toy. 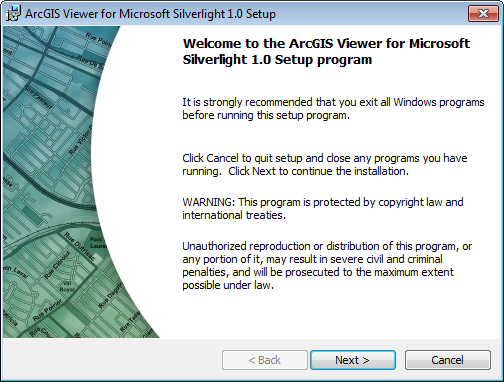 Go to Start > All Programs > ArcGIS Viewer For Microsoft Silverlight 1.0 > ArcGIS Application Builder. This will open the web application. If looking for resources to add as layers, a good place to look is ArcGIS.com. It really is that simple. Testing this demo took about 10 minutes including the downloads. 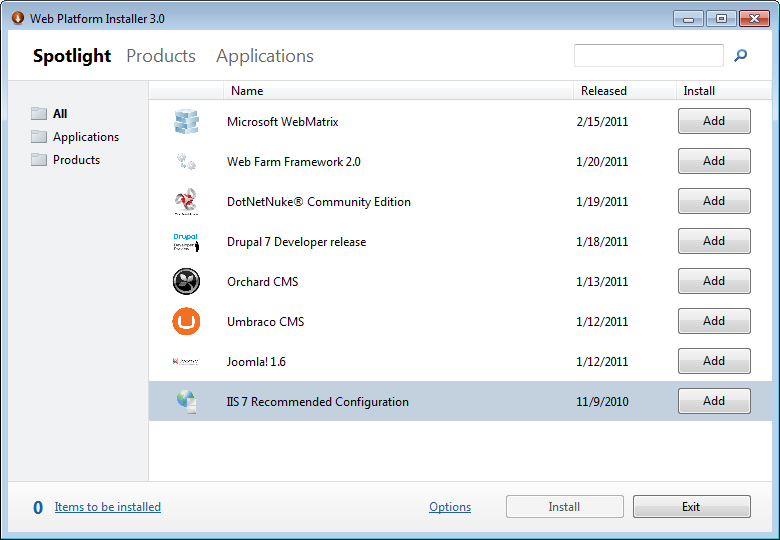 Install the Web Platform Installer, IIS and finally the Silverlight Viewer. Then start building web mapping applications by pointing and clicking.